Teni began her Teni Live world tour in February, scheduled to perform in 9 countries and 20 cities, spread across 3 continents. Asides her exciting performance on stages across the globe, Teni has made the most of her travel experience, making notable pit stops to record funny skits for the Gram. While she was in London, she paid a visit to Tim Westwood TV and recorded this freestyle session, tapping into her Yoruba folk, Hindi film soundtrack and gospel music influences. Kehlani has shared the music video for “Butterfly”, off her recently released ‘While We Wait’ mixtape. The video is surreal take on Kehlani’s seductive performance on the track. While the video starts out dark with dancers choreographing to the sultry instrumentals, “Butterfly” becomes a colorful celebration of growth when Kehlani is shown experiencing a metamorphosis in the stunning clip, directed by 20-year-old Trey Lyons. After collaborating on tracks like “Lean On Me” in 2017, Joel Prodigee and Shaurel have finally released a joint project titled, ‘Sunset Vibrations’. The music video for “All The Time”, the second track off the 7-track tape finds both of them expressing their romantic feelings for a lover over a guitar led beat that conjures a sunny beach vibe. Dir. Willkings channels the relaxing ambiance of the beat for the music video, showing Joel Prodigee and Shaurel at a bar where they meet two pretty women they serve as their muse. Since his “Yes Indeed” feature with Drake, Lil Baby has grown into an internationally renowned rapper. He was in Nigeria last year, performing at the Beat FM show that held in December. The Atlanta raised rapper has since followed up with releases of music videos from his latest project, ‘Street Gossip’, and as you’d expect, features clips from his visit to Nigeria in his music video for “Global”. Directed by Estwst.photos , the video follows Lil Baby in his signature white shirt and iced out jewelry as he performs a tribute to how much he’s grown with the last year. The video contains clips of him speaking to an elderly man in Ankara at the airport, walking on the streets, riding through the third-mainland bridge and of course, the hyped reaction from the crowd when he took the stage to perform to his adoring fans in Nigeria. UK rapper, Sneakbo tapped into his African roots when he released “Gang” last month, featuring two of Ghana’s most promising artists, Kwesi Arthur and Darkovibes. While the two helped infuse the popular Afropop melodies to the airy production by Kuvie, the song finds Sneakbo weeding out fake friends from the gang. Sneakbo heads to Ghana and Jamaica to meet the gang for the recently released music video, showing the artists performing the song, while dancers perform stunts and tricks. If you’ve seen the last two John Wick films, or really any action sequel, then you already know you can expect some cinematic gun blazing fight scenes. However, the John Wick film franchise always seems to know how to raise the stakes higher with each film. 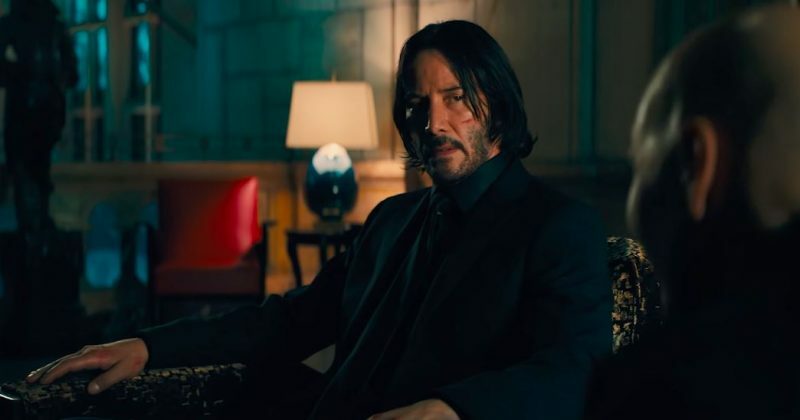 The last one ended on a cliff hanger that guarantees there’d be more action in the coming “John Wick: (Chapter 3) Parabellum”. But the new trailer Liongate just share still manages to top exceptions, introducing Halle Berry to partner with Keanu Reeves and animals to bring more life into the fight scenes. Dogs are used as weapons and a black horse is used in the chase scene.